Despite sustained attacks from Blairite MPs and MSM, Labour Party leader Jeremy Corbyn’s political stock has soared, with polls indicating he’d beat opponent Smith by 20 points. MP Angela Eagle has dropped out of the race to oust Corbyn. The poll carried out by YouGov in collaboration with the Times found the socialist leader would get 54 percent of the vote in a leadership contest, 15 percent for Owen Smith, who is being framed as a left-leaning candidate. The same poll found that 21 percent would go to challenger Angela Eagle, who has since dropped out of the running, putting her support behind Smith. "It is in the best interests of the Labour Party that we now come together so we can have one candidate," she told reporters on Tuesday, as quoted by Reuters. The poll also asked members who they would vote for if only Eagle stood against Corbyn. Only 34 percent said they would back her. Eagle, whose voting record includes backing the war in Iraq, served as shadow business secretary under Corbyn before making a tearful resignation. It later transpired she had registered an ‘Angela for Leader’ website two days previously. Welsh MP Owen Smith was not in parliament at the time of the Iraq War, so is untainted by its legacy. He has also sought to position himself as an anti-austerity candidate of the soft-left. On Monday he somewhat controversially declared himself as “normal” because he has a wife and children. It is unclear whether he was delineating himself from Eagle, who is openly lesbian. The figures come in the wake of a mass shadow cabinet coup attempt by right-wing Labour MPs and a failed attempt by some on the Labour Party’s National Executive Committee (NEC) to keep him off the new leadership ballot. The result comes despite a controversial six month freeze on new Labour Party members who joined after January 12 being given a vote in the election. Ahead of Eagle stepping down, sacked Shadow Foreign Secretary Hilary Benn told the BBC: “I think [a unity deal] would be preferable, it’s the view of many Labour MPs. But Angela and Owen would both make great leaders of the Labour Party. “What we have to do is to get out of the situation that we’re in. Jeremy has done a great deal for the party – he’s changed politics, he’s brought his values, he’s made a huge contribution and will continue to do so. 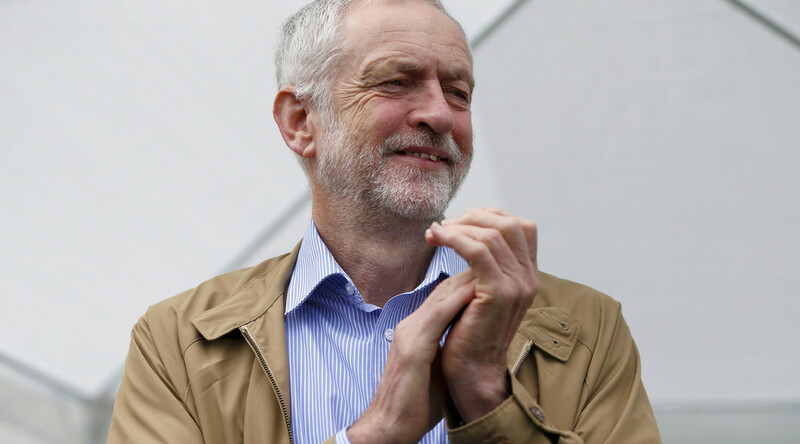 “The problem is that the clear majority of his colleagues in Parliament don’t think that he is a leader,” Benn added.